Happy National Food Day… Eat Local! Today, October 24th, is National Food Day! 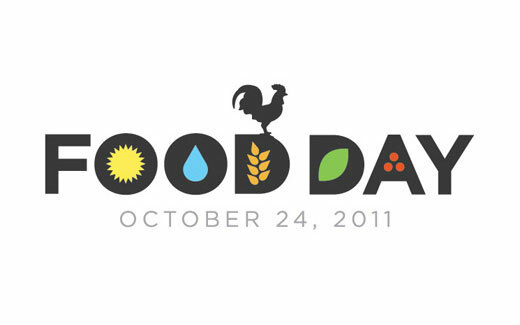 Thousands around the country are hosting food day events throughout the day. The emphasis this year is on eating local. Do you eat local? For many, eating foods that are grown and harvested locally sounds like too much work. I mean, who has time to visit local farms to get all their fresh meat and produce? Guess what, you don’t have to! There are many resources available right here in Kansas City that you can use to get fresh, LOCAL foods on your dinner table! Are you reading this from somewhere besides Kansas City? Odds are, your city has similar resources! Visiting a local farmers market is a great way to get fresh, locally grown food and also directly support local farmers. www.FarmersMarketOnline.com is a great place to find a list of farmers markets in your area. Many grocers, especially smaller, local chains carry produce that is grown locally. Here in Kansas City, we have Hen House Market’s scattered across the city. Hen House has partnered with local farms to bring fresh produce to dinner tables across Kansas City. For a list of Hen House’s partner suppliers, click here. Thanks to events like National Food Day, eating locally grown foods is increasing in popularity. Events like this have brought attention to the importance of eating fresh foods that are free of many additives that we don’t need in our foods. So, where can you start? Instead of driving through the fast food line tonight on your way home from work, stop by your local grocery store and pick up some fresh meats, vegetables and fruits. You may be surprised how good eating locally can be! Love this post! For San Francisco dwellers check out the website for CUESA – Ferry Building Farmer’s market and events! Thanks for your comment Jessica! We’d love to know about great resources all across the country!